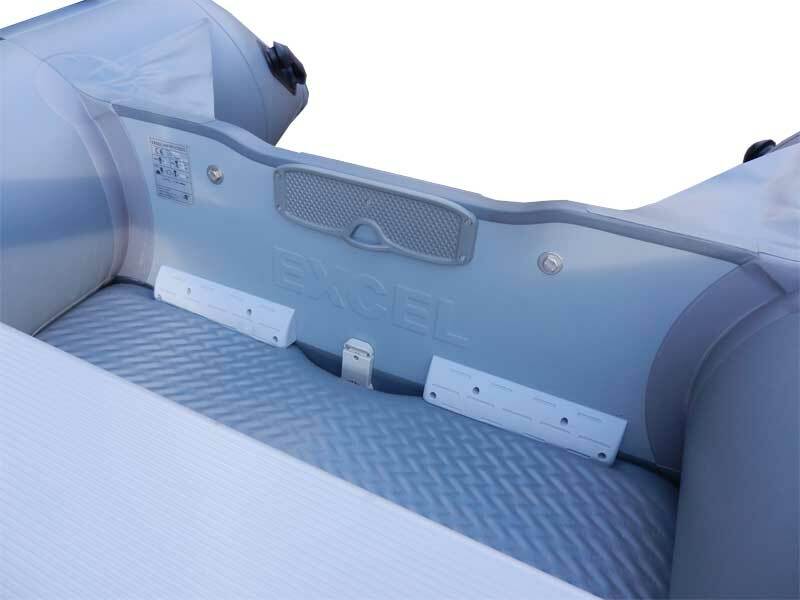 Excel VOLANTE SD390 Inflatable Boat. 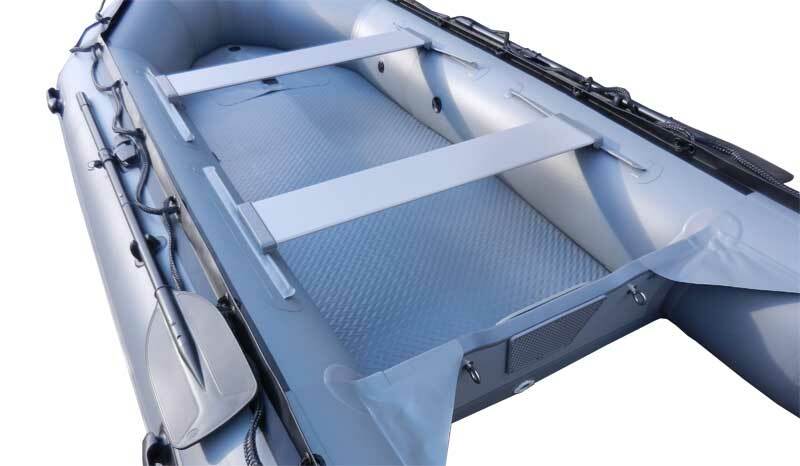 For those that want a little more length, the SD390 is particularly seaworthy and also boasts extra crew capacity for up to 6 people, whilst still remaining manageable and portable when folded away. The VOLANTE SD390 is the largest of the SD models, but also exists in the VANGUARD edition for heavy duty applications or for those that are looking for a performance edge. 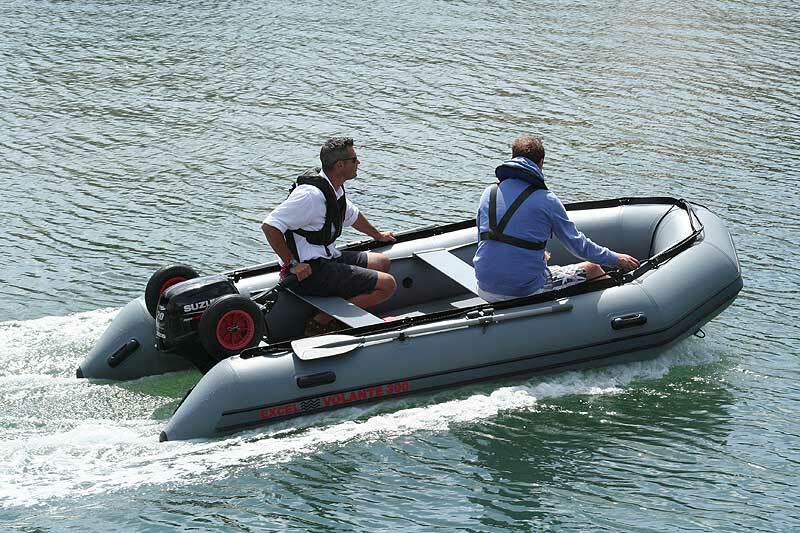 For more recreational activities, both the SD and the XHD models will comfortably tow inflatable toys. 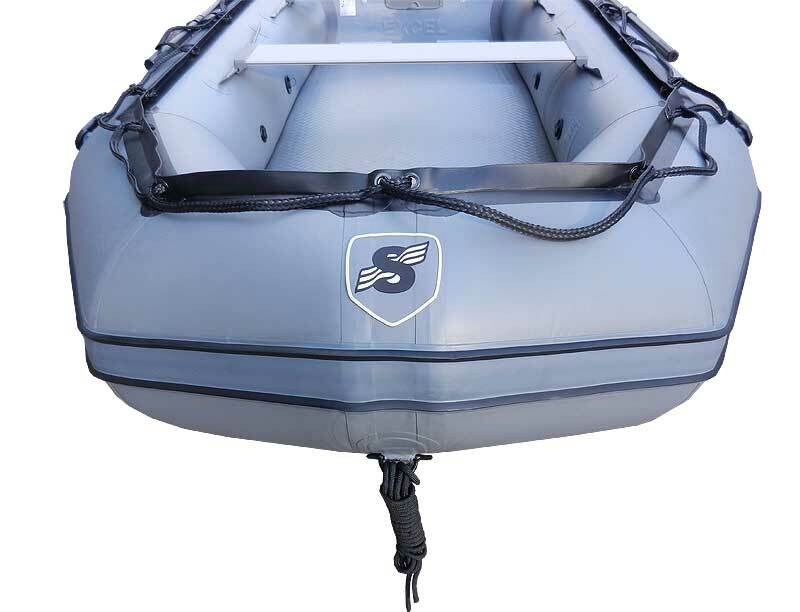 The VOLANTE SD390 is constructed using professional grade 1100 Hytex fabric, and carries a 5 year warranty on fabric and construction. 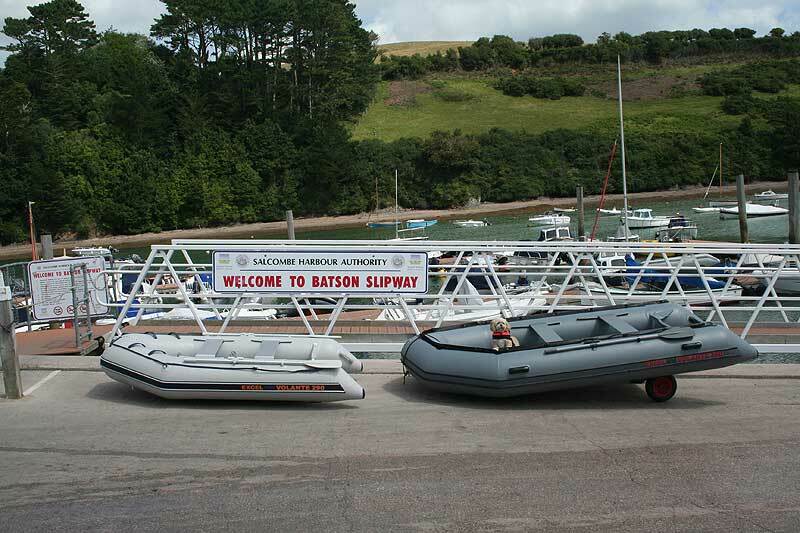 We can supply any brand of outboard engine as required, please don’t hesitate to contact us by phone or email for the best boat and engine package prices available!